How food insecure is URI? 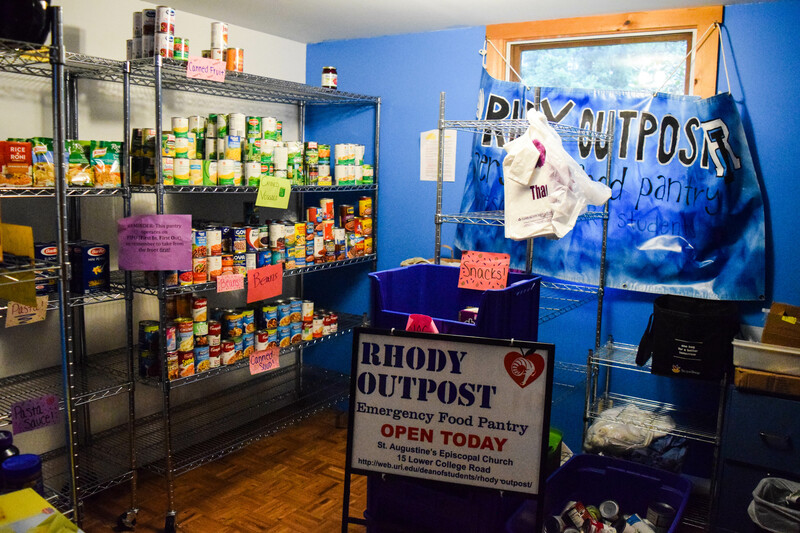 Photo by Anna Meassick | Very few students know of Rhody Outpost, a food pantry on campus that helps students who lack proper food and resources. The University of Rhode Island’s Feinstein Center for a Hunger Free America and the Division of Student Affairs are conducting a survey to better understand the University’s population of food insecure students. Food insecurity is a problem facing college campuses, however, the actual numbers are relatively unknown. The survey is being administered Nov. 1 through Nov. 17. On Nov. 1, all URI students were sent an email with the survey link. Completing the survey only takes about five minutes and there will be daily prizes for survey participants. Pierre Collins, a fellow with the Congressional Hunger Center, was sent to URI at the request of the director of the URI Feinstein Center for a Hunger Free America, Kathleen Gorman. Gorman is leading the survey and has served as the director since 2000. She is also a psychology professor at URI and administers the hunger studies minor. 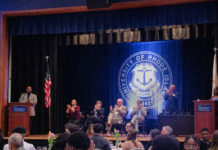 Collins came to URI as part of a larger national fellowship to study and address hunger and poverty amongst different communities. She created the survey using six food security questions that have been developed by the USDA, along with questions from additional departments at the University including residential life and student affairs. Once the survey is complete, Collins will analyze the data collected and create a report that will go to housing, student affairs and the administration. The survey being conducted is designed to determine how food insecurity affects URI students. The goal is to find out how many students are struggling with food insecurity, which can in turn cause problems with academic workloads, housing, or health problems. Bell was introduced to the food pantry, Rhody Outpost, five years ago. Every year since her students have done a project for the organization. This year, their project is promoting the survey. Public relations majors in the class brainstormed talking points, created posters and stickers, posted on social media and used word-of-mouth to encourage fellow students to take the survey. Christopher Alves, one of the students in the class, said he loves the realistic approach the class takes. The food pantry, Rhody Outpost, provides URI students who are food insecure with emergency food and additional resources. It is located in St. Augustine’s Episcopal Church on 15 Lower College Road, and is open on Monday, Wednesday and Friday from 3-5 p.m.
For additional information or assistance, please call the Dean of Students Office (401)874-2098 or e-mail dsooutreach@etal.uri.edu.